Stacy Tilton Reviews: Summer is coming so lets get organized! Summer is coming so lets get organized! It seems like every spring when I move my car back out of the garage it somehow fills up with stuff in it's place in no time. It amazes me because all that stuff had to come from somewhere yet all the shelves and cabinets are still full. My son says it's because those are things they use alot out in the carport to work on the lawn mowers, ATV, and such. My thought is then why isn't that stuff all in once place that's easily accessible both indoors and outdoors? I mean does it really need to live in the middle of the garage floor until I move my car back inside for winter? That's what gave me the bright idea of using a storage shelf on wheels like this one from Best Choice Products. Each shelf can hold up to 110 lbs each which is more than enough for tools, parts, and other things they use to work on things outside. Plus it has castor wheels so it moves really easily, even on our uneven concrete driveway. 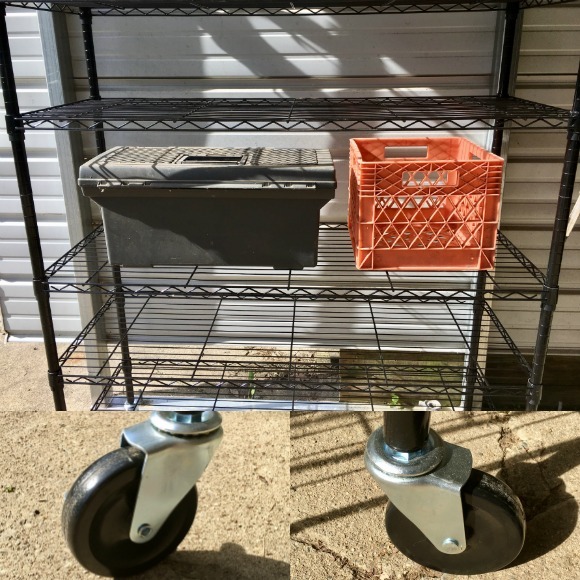 By using this rolling shelf they can put their most used things on the shelves and be able to roll it outside to use, then back inside when they are done for storage. The frame is constructed of a heavy duty steel so you don't have to worry about it buckling with the weight on the shelves. Plus it has a nice black powder-coated finish so it looks nice too. I was actually quite surprised at the weight of the box when it arrived. I was expecting some cheap rolling shelving unit like you find in the stores. So I was definitely happy when I opened it up and found out how sturdy each of the pieces were. It was pretty easy to put together following the included instructions too! Just look at all that space, ready to be filled up and put to good use. I can't wait to see how it works out for the guys this summer. 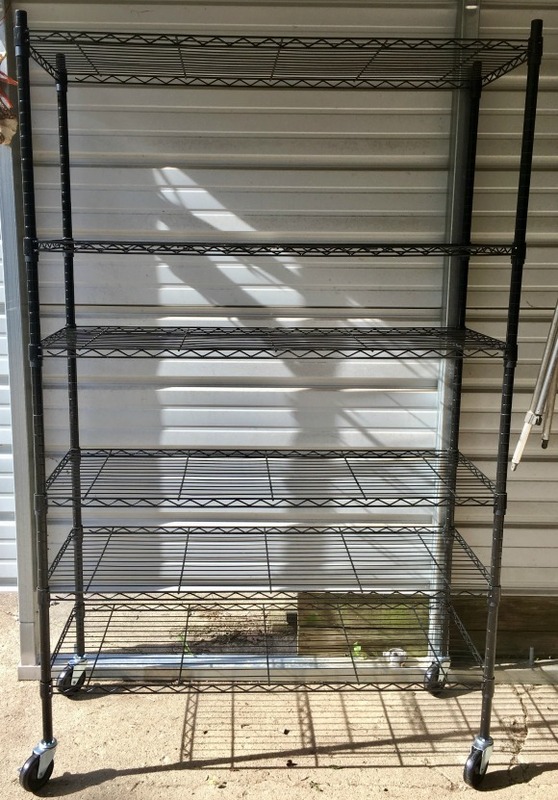 I could use some storage shelf space like this in our unfinished basement area!